Professor Geoffrey Mitchell studied in Sheffield and London before obtaining a PhD working with Alan Windle at the University of Cambridge, UK. His PhD thesis focused on the study of the local structure of polymer melts and glasses using x-ray scattering and computational modelling. He spent a period in Cambridge as a research fellow with a programme centered on the study of liquid crystal polymers. This was followed by a spell at Hokkaido University, Japan with Professor Akira Odajima applying nmr and dielectric measurements to main-chain liquid crystal polymers. In 1984 he took up a lectureship in physics at the University of Reading, was appointed Reader in Polymer Physics in 1992 and Professor of Polymer Physics in 1995. He was the Founding Coordinator of the Polymer Science Centre a collaborative research programme in polymer science involving the Departments of Physics and Chemistry. In 2005 he was the founding Director of the Centre for Advanced Microscopy at Reading which was University wide centre of excellence. In 2013 he was appointed Emeritus Professor. In 2010 he joined the staff of the Centre for Rapid and Sustainable Product Development at the Institute Polytechnic of Leiria. Previously he had been Visiting Professor of IPL since 2004. He is now Vice-Director of CDRSP since 2014. Professor Mitchell has a broad experience of materials research ranging from non-linear optics through smart materials to the microstructural study of technologically important materials. He has developed novel time-resolving techniques in x-ray and neutron scattering for the study of both local structure and the influence of external fields (shear and extensional flow, stress, magnetic, electric) on polymer melts, glasses, liquid crystal polymers and crystallisable polymers. He has combined such scattering techniques with computational modelling to reveal quantitative information about the segmental packing in polymer melts and glasses. He has pioneered the study of liquid crystal elastomers including both chiral networks and the use of such networks as smart materials. He was one of the first to develop photoactive materials for a variety of applications, including non-linear optics, optical fibre switches, coatings and smart systems. In the last 15 years he has developed strong interest in additive manufacturing, firstly with the development of a novel UV/IR Stereolithography process and then the influence of 3-d printing processes of the structure and morphology of the final products. He has developed a strong interest in electrospinning and was amongst the first to evaluate the effect of the electrospinning parameters on the polymer structure of the fibres. He initiated and has chaired a highly successful conference series on electrospinning. This has led to a book ‘Electrospinning: principles, practice and possibilities’ published by the Royal Society of Chemistry in 2015. He has recently published another book with Springer ‘Controlling the Morphology of Polymers: Multiple Scales of Structure and Processing’. Nuno Alves has a MSc and a PhD from Lisbon University on Mechanical Engineering: Computer Vision. He is the Director of the Centre for Rapid and Sustainable Product Development (CDRSP) and Associate Professor on Computer Modelling and Simulation at the Polytechnic Institute of Leiria (IPL). He is/was supervisor/co-supervisor of thirty MSc/MEng Students. He has co-edited four books, authored and co-authored 100+ papers published in books, international journals, international conferences and patents.Nuno Alves is a reviewer of the Virtual and Physical Prototyping Journal, Bioinspiration and Biomimetics Journal, International Journal of Vehicle Design, Assembly Automation journal and several International Conferences. His research interests are mainly on Reverse Engineering/Design, Computer Aided Design/Engineering, Virtual and Physical Prototyping, Image-based Modelling Systems, Multidimensional (nD) Modelling, Biomanufacturing. Paula Faria is the head of the R&D group in Mathematical and Computational Methods at the CDRSP and she focuses her research on numerical modeling and simulation in health and direct digital manufacturing applied to metals, polymers and ceramics. She is the author of 30 articles and book chapters published in international journals and conferences with peer-review. She is member of the scientific and organizational committee of different national and international scientific events. She is a principal investigator and member of R&D projects: FCT, ANI, Add.Additive Mobilizer Project and AddiSpace Interreg-Sudoe Project developed in close cooperation with academe and industry. She is supervisor of master and doctoral student and post-doctoral researchers. She is a mentor of an entrepreneur award called MATERIALIZA and was a member of the Board of the Directors of OPEN, incubator of technological companies. She is currently a member of the Board and General Council of the Portuguese Society of Mathematics. Dr. Murthy is a Materials Scientist interested in polymers and biomaterials. His current projects include fabrication of tissue scaffolds for use as biomedical implants, studying cell-substrate interactions, surface modification, and understanding the influence of hydration in polymers on mechanical behavior and biological activity. He investigates structure at molecular to macroscopic length scales to tailor polymers for biomedical applications. He utilizes x-ray and neutron scattering, thermal analysis, microscopy and related techniques for studying their properties, characterize polymer surfaces, thin films, and interfaces. Dr. Murthy received a Bachelor’s degree in Engineering from the University of Mysore, India, Master’s degree in Applied Physics from the Indian Institute of Science, and a Ph.D. in Materials Science from the University of Connecticut. His postdoctoral experience includes working on biological membranes at Carnegie Mellon University, and at the New York State Department of Health, and on synthetic skin at MIT. He then worked for 21 years at the Corporate Research Laboratories of Honeywell which he left when he was a Senior Principal Scientist. There, he worked on various projects related to textile fibers, engineering plastics, high-modulus fibers, conducting polymers and liquid crystalline polymers. Later, he became an associate professor at the University of Vermont. Currently, he is a Research Associate Professor at the New Jersey Center for Biomaterials, Rutgers University. He has published more than 230 papers and book chapters, ~ 170 in refereed journals. Dr. Murthy is a Fellow of the American Physical Society and International Center for Diffraction Data. He is member of the American Chemical Society and Society for Biomaterials. Dr. Mahadevappa Y. Kariduraganavar obtained his Master Degree in 1988 and Doctoral Degree in 1993 from Karnatak University, Dharwad. He joined Flora International Ltd., Bangalore as Manager (Operation). Prior to this, he also working as Research Assistant Grade-I In the Institute of Wood Science & Technology, Bangalore. In 1997, he joined Department of Chemistry, Karnatak University, Dharwad as Lecturer and was subsequently appointed as Professor of Physical Chemistry in 2007. He did his Post-Doctoral study during 2007-2008 under the prestigious Commonwealth Fellowship Program at J.J. Thomson Physical Laboratory, University of Reading, UK. He also established a Collaborative Research Program with the University of Reading, UK. Dr. Kariduraganavar was participated as a Panel Expert at the International Conference held at Bangkok, Thailand in 2011. In 2002, he attended and presented paper in International Euromembrane Conference held in Londod, UK. During this period, he gave a lecture on Ion-Exchange Membranes for Electrodialysis Applications at Imperial College, London. In 2013, he presented a paper in International Conference held at Dubai. During 2015, he visited Centre for Rapid and Sustainable Product Development (CDRSP), Portugal along with 3 of his Ph.D students as Visiting Professor and worked on Tissue Engineering for Bone Regeneration and Shape Memory Polymers. 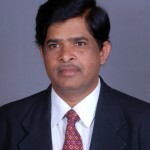 Dr. Mahendra D. Shirsat is presently working as a Professor in the Department of Physics, Director, RUSA Centre for Advanced Sensor Technology, Director, DDU KAUSHAL Kendra, Director, Internal Quality Assurance Cell (IQAC) and Head, Department of Electronics, Dr. Babasaheb Ambedkar Marathwada University, Aurangabad (MS) India. He is former Head, Department of Physics, Director of Academic Staff College, and Registrar, Dr. Babasaheb Ambedkar Marathwada University, Aurangabad (MS) India. Professor Shirsat has completed Post Graduate Degree ( M. Sc.) in Physics, ( MCA) in Engineering & Technology and Doctoral Degree ( Ph. D.) in Physics. He was a Post-Doctoral Fellow at Department of Chemical and Environmental Engineering, University of California, Riverside (USA). He has presented 82 research papers in several of International and National conferences and is co-editor 03 books. Till date he has delivered more than 50 invited talks at various National and International Conferences in India and abroad. His area of research interest includes Synthesis and Tailoring of Nano-structured materials for Gas Sensors, VOC sensors, Biosensors, Photovoltaic applications, Organic Devices, NLO materials crystal etc. Dr. Sivaram is presently an INSA Senior Scientist and Honorary Professor at Indian Institute of Science Education and Research (IISER), Pune, India. Prior to this, he served as the eighth Director of NCL (2002-10) and as CSIR Bhatnagar Fellow (2010-15) and J.C. Bose Fellow (2006-15) at NCL. An alumnus of Madras Christian College (B.Sc., 1965) and IIT-Kanpur (M.Sc.,1967), he received his Ph.D. in Chemistry from Purdue University, W. Lafayette, Indiana, USA in 1971 working with Nobel Laureate Professor H.C. Brown (Scientific Genealogy). After a brief stay as a Research Associate (mentor: Professor J.P.Kennedy) at the Institute of Polymer Science, University of Akron, USA, he joined the Research Centre of Indian Petrochemicals Corporation Ltd., at Vadodara in 1973. In 1988, he joined NCL as Head of the Polymer Chemistry Division. Dr. Sivaram is a highly decorated scientist with numerous awards to his credits. He is a recipient of the Vishwakarma Medal (INSA), Silver Medal of the Chemical Research Society of India, Millennium Medal of the Indian Science Congress Association, Distinguished Alumnus Award of IIT, Kanpur, Professor S.R. Palit Memorial Award of the Indian Association for Cultivation of Science, K.G. Naik Gold Medal of M.S. University, Baroda, FICCI Award in Physical Sciences, Om Prakash Bhasin Award, Goyal Prize in Applied Sciences, Distinguished Material Scientist of the Year Award, 2011 bestowed by Materials Research Society of India and the Lifetime Achievement Award of the Indian Chemical Society, 2015. The Society of Polymer Science, Conferred him on the “International Award” in recognition of his significant contributions to Polymer Science. Dr. Sivaram was awarded the D.Sc. (honoris causa) by Purdue University, USA in 2010. The President of India conferred the coveted civilian honor, Padma Shri, on Dr. Sivaram in 2006. He has mentored the Ph.D. thesis of 36 students, over a dozen post-doctoral fellows and published over 210 papers in peer reviewed scientific journals. He is cited as an inventor in 49 granted European and US as well as 52 Indian patents. Several of his patents have been licensed to companies worldwide. He has edited two books, authored one book and serves on the Editorial Board of several national and international journals in chemistry and polymer science. Dr. Sivaram’s research interest concerns polymer synthesis (cationic, anionic, GTP, Ziegler Natta, free radical and step growth polymerizations), high performance polymers; surface chemistry of polymers; porous polymers for energy related applications, biodegradable polymers, polymers from renewable resources, organic-inorganic hybrids and structure-property relationship in polymers. Prof. Vedamurthy completed his M.Sc., M.B.Tech and Ph.D from Gulbarga He has 16 years of teaching and administrative experience has held many positions as Reader, Professor, Director and Principal at The Oxford College of Science, Bangalore from 2000 to 2013. Presently he is the Professor and Chairman, at the Department of Biotechnology and Microbiology, Karnatak University, Dharwad. He is also the Coordinator of new established Innovation and Incubation Centre at Karatak University, Dharwad. Currently he is guiding 8 Ph.D. students at the Department of Biotechnology and Microbiology, Karnatak University, Dharwad. He has vast research experience in the field of Plant Biotechnology, Nanotechnology, Phytochemistry, Pharmacology, Secondary Metabolites form Fungi etc. He has published more than 60 research articles in reputed national and international journals and he also has published a book for under graduate students- Biotechnology IV. He is recipient of Best Research paper Award instituted by Karnatak University, Dharwad for the year 2015. He is the recipient of many prestigious awards such as Elected Fellow Member of National Environmentalists Association (FNEA), Fellow Member of International Society of Biotechnology (FISBT) and as a co-author in many oral presentations at national and international conferences. He is also reviewer of several scientific Journals such as Elsevier, Springer, Willey etc. He visited several oversees counties for scientific meetings such as Austria, Germanay, Czek Repulic, Malasia, Srilanka, Thailand and Omen. He is the main source behind getting research funding of Rs. 1.8 Crores at the Department of Biotechnology to BT finishing School from Govt. of Karnataka at The Oxford College of Science, Bangalore. Presently he is investigator in DST and VGST funded projects at the Department of Biotechnology and Microbiology, Karnatak University, Dharwad. He also a member of many scientific communities such as Life Member, Indian Science Congress Association , Kolkata . Life Member, National Environmentalists Association , Life Member, International Society of Biotechnology, Life Member, Association of Biotechnology and Pharmacy , Treasurer (Elected), Indian Science Congress Association, Bangalore Chapter, Member, Society of Cytologists and Geneticists, India (founded in 1965). He is also contributing as research consultant at various institutions such as Reva Institute for Science & Technology Studies, Bangalore, Bio-nymph Life Sciences Pvt. Ltd., Bangalore, Institute of Bioscience & Molecular Biology, , Bangalore, Narayana Hrudayalaya College of Science, Bangalore. Dr. Somashekhar received the Doctoral Degree in 2004 from Indian Institute of Technology Madras, Chennai, Tamil Nadu, India. He has published more than 150 papers papers in National and International level. He has delivered more than 75 Invited talks on various topics of his research at Engineering Colleges, Universities, Research Centers, Industries, and Conferences. Currently he is handling many Consultancy and Sponsored Projects of various industries and R&D institutions of Defense, Government of India. His current research areas are Mechatronic System Design-System Simulation and Modeling, Robotics, Finite Element Modeling – basically Fluid Structure Interactions, Micromachining, Advanced machining processes – basically Hybrid Processes and Fluid Power Systems. Sabu Thomas is a Professor and Director of Polymer Science and Engineering at the School of Chemical Sciences, as well as the Director of Centre for Nanoscience and Nanotechnology, Mahatma Gandhi University, Kerala, India. He received his Ph.D. in 1987 in Polymer Engineering from the Indian Institute of Technology (IIT), Kharagpur, India.. He is a Fellow of the Royal Society of Chemistry. Prof. Thomas has been involved in a number of books (16 books), both as author and editor. He has been ranked no. 5 in India with regard to the number of publications (listed in the panel of most productive scientists in the country). Professor Thomas has received a number of national and international awards which include: Fellowship of the Royal Society of Chemistry, London, Distinguished Professorship from Josef Stefan Institute, Slovenia, MRSI medal,Nano Tech Medal, CRSI medal, Distinguished Faculty Award, and Sukumar Maithy Award for the best polymer researcher in the country. Prof. Thomas has (co-)authored more than 500 research papers in international peer-reviewed journals in the area of polymer composites,nanocomposites, membrane separation, polymer blends and alloys, and polymer recycling. Sakthi Swarrup J. is currently working as Senior Assistant Professor at the Center for Nanotechnology Research (CNR) in Vellore Institute of Technology, Vellore. Before joining VIT, she was working as a senior research associate (August 2015- January 2017) in the Department of Aerospace Engineering, Indian Institute of Science, Bengaluru in energy harvesting and sensing capabilities of the smart materials for novel applications. She obtained her PhD degree in Aerospace Engineering department and Chemical Engineering department, Indian Institute of Science, Bangalore. She received her M.Tech degree in Nanotechnology (2010) and B.Tech degree in Electrical and Electronics Engineering (2007) from Vellore Institute of Technology, India. Her PhD work is on the Ionic Polymer Metal Composite (IPMC) actuators for insect scale flapping wing Micro Air Vehicle. Her current research interests are in smart materials and structures, biomimetic system design, micro and nanosensors, MEMS devices – modelling and fabrication, energy harvesting, unmanned aerial vehicles. Her academic interests are Nanotechnology, MEMS, micro device fabrication technology, smart materials and structures, introduction to aerospace engineering, biomimetic design. She is currently guiding 4 M.Tech students for their projects and thesis. She has currently published 6 papers in internationally reputed journals and 4 under communication. She has delivered invited talks and oral presentations in national and international conferences held in India and abroad. Bhoje Gowd was born in Kummara Nagepalli, Anantapur district, Andhra Pradesh. He received his B.Sc. and M.Sc. (Tech) in Polymer Science and Technology from Sri Krishnadevaraya University, Anantapur, Andhra Pradesh and his Ph.D. from University of Pune, Pune (work carried out at National Chemical Laboratory under the guidance of Dr. C. Ramesh). He worked as a post-doctoral fellow in Prof. Kohji Tashiro’s group at Toyota Technological Institute, Nagoya, Japan and as an Alexander von Humboldt Fellow in Prof. Manfred Stamm’s group at Leibniz Institute of Polymer Research, Dresden, Germany. After a short stay at Indian Institute of Science, Bangalore as a Centenary post-doctoral fellow in Prof. S. Ramakrishnan’s group, he joined CSIR-National Institute for Interdisciplinary Science and Technology (CSIR-NIIST), Trivandrum as a DST Ramanujan Fellow. In 2011, he accepted the senior scientist position at CSIR-NIIST. Recently he has been awarded IUSSTF research fellowship by Indo-US Science and Technology Forum. His research interests are in the areas of polymer self-assembly, nanostructured materials, polymorphic phase transitions in semicrystalline polymers, polymer/inorganic hybrid nanocomposites, polymer-solvent complexes. Dr. G.S. Mukherjee, B.Sc. (Hons), B. Tech., M.Tech., PhD (Calcutta University); INSA Visiting Fellow; started career at NTH, Calcutta and later joined DMSRDE, Kanpur and acquired long experience in active R&D work on Polymer Engineering Science primarily in the area of toughened resins, syntactic foam, Kevlar reinforced ballistic composites, sandwich structures for attenuation of blast, photopolymerization, kinetic parameters, thermodynamic compatibility, blends, IPN, polymer additives and modifications of resins, optical materials and magnetic nanocomposites; and received the DRDO award in recognition of valuable contribution in developing optically stable extrudable polymer film adhesive for Windshield for LCA; then deputed to G-FAST, New Delhi think tank of DRDO dealt primarily with the futuristic issues of R&D program; Along with his research, he also led the new initiative of DRDO Knowledge Management System to process and protect DRDO Knowledge assets and identity; conducted specialized courses in all the Military commands across the country; DRDO delegate to visit institutes of Singapore and USA; besides research papers, regularly contributing Book reviews, Opinion, Editorial highlights. Since 1992, He has been giving honorary services as reviewer and giving Technical assistance and consultancy to more than sixteen Journals. He is/ has been in the Editorial Boards responsibility of 7 different scientific journals including two Journals of CSIR; held honorary positions of President (Engg. Sciences) of 97th Indian Science Congress, Thirubananthapuram (2009-2010) and other scientific societies; He is a member of ACS as well as AAAS, Fellow of Institution of Engineers (FIE), Institution of Chemists (FIC) as well as Fellow of Royal Society of Chemistry (FRSC); name listed in a number of international who’s who publications. His current research interests primarily include polymer based materials, nanocomposites. After his undergraduate education in University of Madras, India, Murugappan Muthukumar did his Ph.D. in Chemical Physics at the University of Chicago under the supervision of Professor Karl Freed. After his postdoctoral fellowship with Sir Sam Edwards in the Cavendish Laboratory at the Cambridge University, he joined the faculty of Illinois Institute of Technology for a couple of years, and then moved to the University of Massachusetts at Amherst, where he is the Wilmer D. Barrett Distinguished Professor of Polymer Science and Engineering. His current topics of interest include polymer crystallization, polyelectrolyte physics, assembly of viruses, polymer translocation, and physics of vision. Dirk Grijpma is professor in Biomaterials Science and Technology at the University of Twente. He also holds a part-time position at the University Medical Center Groningen. His expertise is in the synthesis and properties of resorbable polymeric materials for use in medical devices, tissue engineering and in the delivery of relevant biologically compounds, and the interaction of these materials and devices with cells and tissues. Current research includes the development of advanced microstructures additive manufacturing methods, and research programs on the tissue engineering of cardiac muscle and blood vessels, the synthesis and processing of composite materials for fracture reconstruction in maxillofacial surgery, and the development of novel materials for drug delivery. Pre-designed anisotropic architectures based on biologically active materials are being developed to engineer musculoskeletal and cardiovascular tissues in bioreactors under conditions that mimic the natural environment. His research includes the synthesis and characterization of large arrays of materials and their evaluation by high throughput methods, which will likely lead to the discovery of novel materials that perform unexpectedly well in their interaction with cells and tissues. His research interests are: resorbable polymers for medical applications, structure-properties relationships in polymers, tissue engineering, bioreactor technology, drug delivery, ring opening polymerization, additive manufacturing, photo-polymerization and stereolithography. He is author of more than 250 scientific publications and holds 24 patents. He is editorial board member of Biomaterials, Acta Biomaterialia, The Journal for Applied Biomaterials and of the Biomechanics Journal of Orthopaedic Translation. Marek W. Urban is the Sirrine Foundation Endowed Chair and Professor at the Department of Materials Science and Engineering. Prior to joining Clemson University, Marek directed the Industry/University Cooperative Research (I/U CRC) and Materials Research Science and Engineering Centers (MRSEC) funded by the National Science Foundation as well as served as department chair at North Dakota State University and University of Southern Mississippi. He published over 300 research papers, is the author of three books, several patents, and editor of seven American Chemical Society, Oxford Academic Press, and Wiley books. He is the recipient of numerous awards and his research on self-healing and antimicrobial polymers have been featured by numerous media, including NY Times, BBC, NBC, USA Today, Yahoo, NSF, and many others. Current efforts of the Urban Research Group focus on design, synthesis, and understanding of molecular processes that govern formation and behavior of multi-scale length heterogeneous self-healing and stimuli-responsive polymer networks, synthesis of colloidal nanomaterials, spectroscopy and imaging of polymers, and polymer surface modifications that lead antimicrobial, antifouling and anticoagulant properties. Over the years, Ramki has placed a high value on building and nurturing relationships with both internal / external stakeholders. Ramki is also passionate about mentoring and developing the next generation of talent and leadership. Professor Malcolm Sperrin joined the NHS as senior physicist in an ultrasound department in 1990 and has worked in various medical physics management roles over the years. He is currently the director of medical physics at Royal Berkshire NHS Foundation Trust, responsible for more than 70 staff. Having started working in ultrasound, he rapidly expanded to cover non-ionising radiation, including lasers and MRI, and I enjoyed assessing imaging units for their safety and quality. Later Professor Sperrin was promoted to deputy head of department where he developed links to the Medical Devices Agency and conducted early work on mobile phone safety which still forms the basis for safety advice. Professor Malcolm Sperrin was promoted to principal physicist in 1998 and from there moved to his current role of director of medical physics at Royal Berkshire Hospital where he manages more than 70 staff. The professor developed the medical physics department to include medical photography and is heavily involved in developing and maintaining national standards for medical physics practice. He has assessed 8 PhDs all in relevant disciplines, 270 masters projects in Medical Physics. He is expert coordinator for ISO standards in biomaterials and associated metrics and has published 30 scientific articles in previous 3 years with 5 in international journals. Dr. Abhishek Mishra, Assistant Professor in the Department of Mechanical Engineering, NIT-Delhi, obtained his M.Tech. degree in CAD/CAM from VIT University Vellore and wrote M.Tech. thesis at the University of Technology Compiègne, France on the topic “Numerical simulation of laser welding process” in collaboration with ArcelorMittal Company, Montataire, France. He did Docteur Sciences pour l’Ingenieur from University of South-Brattany France for the research work on “Experimental investigation and numerical prediction of rupture in bending of metallic sheets”. This work was the part of SIMENDO project, which was financially supported by the French National Agency for Research (ANR). He joined the National Institute of Technology Delhi as Assistant Professor in 2014 and became the First Head of Mechanical Engineering Department. During his headship doctoral program in mechanical engineering was started and M.Tech. program in CAD/CAM program was approved by the Board of Governors, NIT Delhi. Also, he held positions namely the Chairman of Institute Purchase Committee, Chief Proctor, Chief Warden and has been Convener/Co-ordinator/Member of various other Committees/Clubs. Currently, he is guiding research in the field of numerical modelling and simulation using finite element method (FEM): applications in metal forming process, mechanics of materials, design engineering and artificial joint implants. He had been awarded “Indian Achievers’ Award 2018 for Education Excellence” from Economic Development Forum. He is author/co-author of 12 research papers, and several book chapters in various international/national journals and conferences. He has also been a member of DRTC Assessment Board in the year 2017 of Defence Research and Development Organization. He has to his credit articles and comments in leading newspapers of India on various topics of academic and contemporary relevance. His scientific talks on artificial hip joints and solar energy have been telecasted by national channels like DD India and Sudarshan News in the year 2018. Dr. Suman Das is a world-renowned expert in 3D printing and additive manufacturing. As Chair Professor of Advanced Manufacturing Systems and the Director of the Direct Digital Manufacturing Laboratory at the Georgia Institute of Technology (Georgia Tech) in Atlanta, he has conducted research and invented technologies in these fields for over 28 years, on materials systems spanning polymers, metals, ceramics and composites and 3D printing techniques encompassing powder bed fusion and photopolymerization. He is currently on a leave of absence from Georgia Tech to serve as the Founder and CEO of Atlanta-based DDM Systems, an advanced manufacturing technology company commercializing industrial 3D-printing technologies for the aerospace, power generation, automotive, and medical sectors.